The Degree in Business Logistics (Dual system) that we teach at the Mediterrani University School prepares students for an emerging sector full of opportunities. A specialized logistics career focused on training the best experts in logistics in a global environment, where the student, thanks to the dual component of their training, is integrated into the companies from the third year of career, thus expanding their professional horizon. The economic sector of logistics is an expanding sector that will generate tens of thousands of skilled and highly specialized jobs in our country. According to data from the Association for the Search for Logistics Specific Excellence (ABE-L) and the National Institute of Statistics (INE), logistics currently represents around 12% of national GDP, with a turnover of close to to 95,000 million euros and an annual investment of more than 12,000 million. The high level of employability of the degree in business logistics that we offer in EU Mediterrani is optimized by our innovative Dual curriculum, which facilitates the employment of the student during the career, thanks to the collaboration with numerous companies in an emerging business sector and technologically very advanced. And to improve your training, we include in the degree the official English and German titles, in addition to an Apple laptop, commonly used in our classrooms. DUAL = TRAINING + LABOR CONTRACT. Our Dual System combines the training in the classrooms taught by professionals from partner companies, with a work contract in the third and fourth years where you will develop the skills acquired during the career. An Apple MacBook Air laptop for free commonly used in classrooms. Preparation and examination of the official title of English First Certificate, Advanced or Proficiency at the university itself. Official title of German at the university itself. Collaboration with the most important companies in the logistics sector in Barcelona, ranging from automotive, chemical, pharmaceutical, textile and fashion, food, large-scale distribution, passenger transport, ports and shipping, airports, logistics innovation and new technologies. Possibility of studying up to 4 languages within the career of Logistics with English and German during the 4 courses and Mandarin Chinese and French optional. Extensive program of personalized Tutorials, coaching sessions and reinforcement classes thanks to the manifestly effective EU Tutorial Action Plan Mediterrani. 10-storey building fully equipped and updated. More than 30 years of experience and 3 quality certifications (IQNet, AENOR, AQU). Official qualification Graduated in Business Logistics from the University of Girona which has been recognized among the 5 best universities in Spain (ranking CyD 2018). Thanks to the quality level of our training, the great preparation of our teachers, the collaboration of the most important logistics companies and our facilities, we are a centre attached to the UdG, so that when you finish your studies in Logistics, you will obtain the official title from the University of Girona. Competencial professional profile: We develop a professional profile of the qualities and competences of each student and send it to national and international companies in which the graduate is interested in working. General and specific competences that the students have to acquire during the studies, whose fulfillment will be required to grant the title. Be proficient in communication, both in writing and orally, in their own language and in other foreign languages. Work as a team, establishing the relationships that can most help the progress and execution of projects. Know how to develop and defend arguments and solve problems within the study area, turning an empirical problem into a research objective and presenting conclusions. Develop skills to gather, process and analyze information from various sources to apply them in decision making . Be able to lead work teams, acquiring negotiation skills to prevent and solve problems, conflicts and make decisions, assuming a marked orientation for quality. Analyze the operation, management and control of the different functional areas of the company and the analysis tools applied to logistics. Develop the processes and functionalities of a support system for decision making, identifying the different concepts and logistic instruments. Analyze the characteristics of international trade and commercial distribution, establishing market opportunities. Develop logistics management skills to apply them in any business environment. Plan, organize and control the areas and tools to support logistics. Plan, organize and control the strategic areas of logistics in the integrated management of the supply chain. Manage, plan and control logistics and transport operations. University entrance exams (PAU) – Selectivity. Higher grade training cycles (CFGS and FPII) or equivalent degrees. University entrance exams for students over 25 years of age. University entrance exams for students over 40 years of age. University entrance exams for students over 45 years of age. Students of foreign educational systems. Have completed other studies with official degree, undergraduate, diploma or equivalent. For more information about access to the dual degree in business logistics, validations, etc., you can also contact us through the form. If your place has been assigned to EU Mediterrani our Academic Secretariat will contact you in order to give you the day and time to formalize the registration. It is a learning model that integrates the academic and professional fields, which complement each other during the duration of the Degree in Business Logistics, o offer a training program of innovative degree in order to achieve a high level of professionalization of apprentices in the sector logistic. Dual learning is a training route designed to improve employability nd individual development, as well as to increase permanent adaptation to the demands of the professional world. What makes it more interesting is that it facilitates experimental situations that improve the acquisition of skills. The relationship between the student and the company is established through a work contract during the course of their training. Learning by doing: With the dual learning you can apply the knowledge obtained during the first years of the Degree in Business Logistics in companies, with a work contract. Profesionales en el aula: The academic training is taught in a high % by professionals of the highest level of the sector. Conoce el mercado laboral: With the dual learning you will be able to know the sector as one more worker before finishing the degree training. Alto nivel de profesionalización: The dual modality allows you to interact with theoretical and practical knowledge and acquire the commitment, responsibility, professional ethics and autonomy that will shape your professional identity. EU MEDITERRANIsupports the international activity of both institutional and teaching and research carried out in our centre, promoting the mobility of both teachers and students. The objective is to contribute to the international projection by participating in international forums and cooperating with foreign universities. 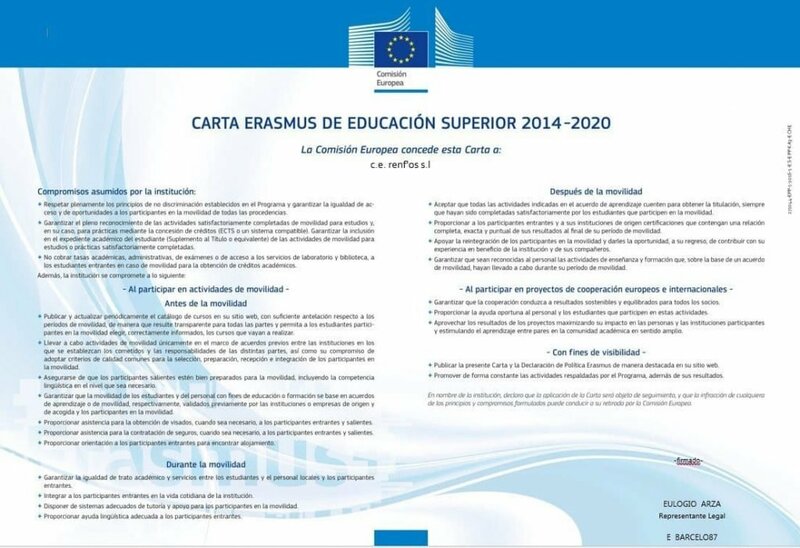 E.U.MEDITERRANI has an Erasmus University Charter; this letter implies the commitment of the centre to the fundamental principles of Erasmus mobility: establishing prior agreements for the realization of practices, full recognition of the activities, high quality level, visibility and communication of the Erasmus activities and commitment in their equality criteria and non-discrimination. Remember … The students of EU MEDITERRANI can study all over Europe and more …!!!! SICUE is a program of the Conference of rectors of the Spanish Universities (CRUE) to carry out validated studies in Universities of the Spanish state. 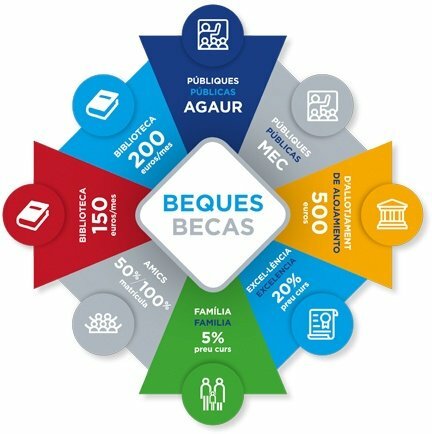 It allows students to complete a period of studies with academic recognition in a different Spanish university institution in which the student is enrolled. Student mobility for Erasmus + for Traineeships is a modality of the Erasmus + program of the European Union. Its purpose is to help students adapt to the demands of the European labour market, acquire specific skills and improve their understanding of the economic and social environment of the country of destination, at the same time they gain work experience. The objective of this program is for university students to carry out internships with academic recognition in companies or organizations in other European countries. The Final Degree Project (from now TFG) is an approximation to a search. The TFG of the Degree in Business Logistics is obligatory and has a load of 12 ECTS. In the Degree in Business Logistics, the TFG involves the realization by the student of a project, a memory, a study or a work in which they apply, integrate and develop knowledge, skills, competencies and skills acquired and worked during the university career. Being a TFG of a dual degree students must develop and defend a logistics project carried out during dual internships. The TFG is oriented to the evaluation of competences associated with the degree and ends with the public defense and the evaluation and qualification of the work. The dedication of the student is determined by the 12 ECTS assigned to this subject and by equivalence of 25 hours of dedication of the students for each credit. The TFG of the Dual Degree in Business Logistics will be directed by a professor of the degree and will have the co-direction of the director of the logistic project of the company. EU Mediterrani offers an effective service of Grants to help in all your efforts related to this issue. EU Mediterrani grants for students with brothers/sisters who also start studying at Mediterrani during the academic year 2019-20.